Last week, we brought you the totally impressive new single, ‘Separate Ways’, from Queensland native Luke Antony. 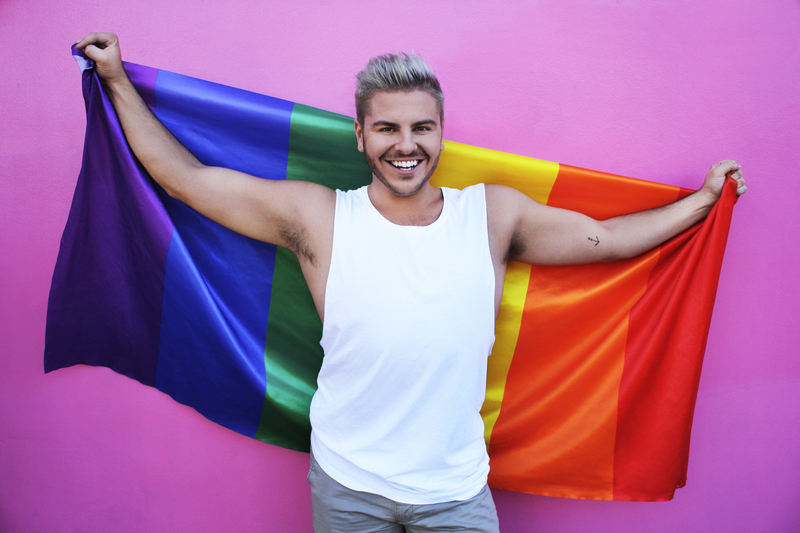 And while he’s off over at Munich Pride this week, which has chosen the track as its official theme for this year’s festivities, Luke took time out to answer our series of questions for our latest Get To Know feature. 01. Name : Luke Antony. 03. How did you get your start in music? I started working as a lead singer in a corporate cover band in Townsville, North Queensland. I was also teaching singing there! But the band work started the love affair! 04. Give us five words to best describe you as an artist. Soulful, funky, flamboyant, fresh, pathetically-pop-obsessed. 05. Tell us a little bit about your sound and how it developed. I took a while to find “me” in my sound. I also got told I was too safe, not edgy or interesting enough. I think it took heartbreak, knock backs and a bit of anger-induced fight within me that ignited an edgier vocal sound. You can’t tell a story if you haven’t lived. In terms of the general sound of my music, it’s funky, it’s housey; electro-organic, I like to call it! 06. Who have been your musical influences? I love this question. So many. Anyone from the vocal stylings of Stevie Wonder and Whitney Houston or Jazmine Sullivan, to the production vibes of Sam Sparro and Disclosure. 07. What are your favourite songs of all time? I have two. They change all the time, but at the moment I’m in love with India Arie’s ‘Ready For Love’ (it’s really resonating with me personally at the moment) and ‘A Song For You’ by Donny Hathaway – classic, beautiful. Man that guy can bust a tune! Funnily enough though, I am smashing Calvin Harris when I work out! Haha! 08. What was the first album you bought? That’s easy – The Spice Girls. And I’m bloody proud of it. 09. Give us a little fun fact about yourself that people might not know. Gosh I dunno… I can wriggle my ears… not just a little bit… like I give Dumbo a run for his money. Haha! 10. What would your chosen career be if music wasn’t an option? I havent really thought about it that much, to be honest. I love kids. I would love to see kids have more opportunites in the creative arts world… I didnt have many growing up, so I’m passionate about that. 11. What’s the best advice you’ve been given in your career? “Get over yourself”. If you get too hung up on the details – you forget to enjoy the journey! That smack-in-the-face was life changing. 12. Tell us about your latest release. The single is called ‘Separate Ways’ and it’s the debut single from my upcoming EP. I have partnered with Munich Pride and am releasing it as a charity single, so 50% of the sales will be going to them. I am so so excited to be launching it at the event on July 09. It’s about young love and chasing your dreams… and I guess how the two don’t always go together. I chose to tell the story using a lesbian couple in the video. It’s stunning – I’m obsessed with it! 13. What do your future plans involve? I’m going to drop a remix EP for ‘Separate Ways’ and then follow that with my official EP. I’m so excited. I’m hoping to play some more shows in Europe as well! 14. Where can our audience catch you live? My next show is at Munich Pride (Christopher Street Day) in Germany on July 09. I’ll be on the Main Stage at 9pm.